Jack Whittaker was born in Tipton (near Dudley), Staffordshire in 1898. He was the only son of Alfred (born Wilsford) and Sarah. Alfred and Sarah (nee Brutnell) had married in 1894. Alfred had been living in Islington and working as car man (luggage carrier), perhaps at Kings Cross station. 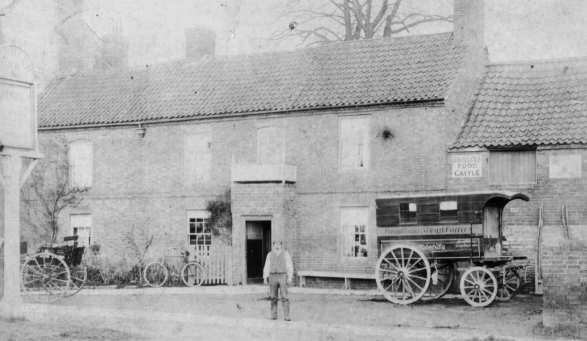 Sarah’s father was a market carrier in Keasby, Lincs. 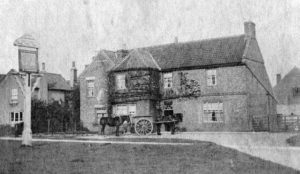 By 1911 they’d moved to the Royal Oak, where Alfred was still both an innkeeper and carrier. They were still there when Sarah died in 1931. 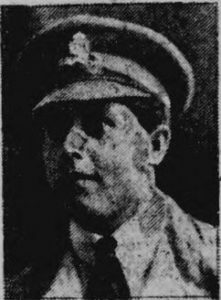 In 1916 Jack Whittaker joined the Royal Field Artillery. After training in Athlone (Ireland) he was sent to France in Dec 1916. 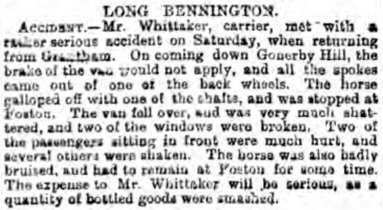 In Oct 1917 he was wounded in the thigh at Passchendaele and invalided back to England. He went back to France in May 1918 after coming home on leave. He was killed in action on 20th Sep 1918 (age 20) while serving with X/9th Trench Mortar Battery. He was buried at Chocques Military Cemetery (North West of Bethune) the next day.